A very proud moment with Room to Read! On Wednesday I attended a fantastic evening with Room To Read, where I heard the moving story of a wonderful young woman called Tay Thi Nguyen, who is the star graduate of Room to Read Vietnam’s Girls’ Education Program. Can you believe that when Tay Thi was a young girl, her mum actually burned her school books to stop her from getting an education? It was because the family was so poor, her mum wanted Tay Thi to go out and work to earn money. Luckily Room To Read found out about her, and was able to help her to get a scholarship to fund all her studies, until she graduated at university as a teacher! Now her mum is very happy, because not only can Tay Thi earn a great living, but she has also encouraged both her brothers to go on to further studies, so the family will no longer be poor! Tay Thi has now gone back to her village to teach other children to read – isn’t she an inspiration? 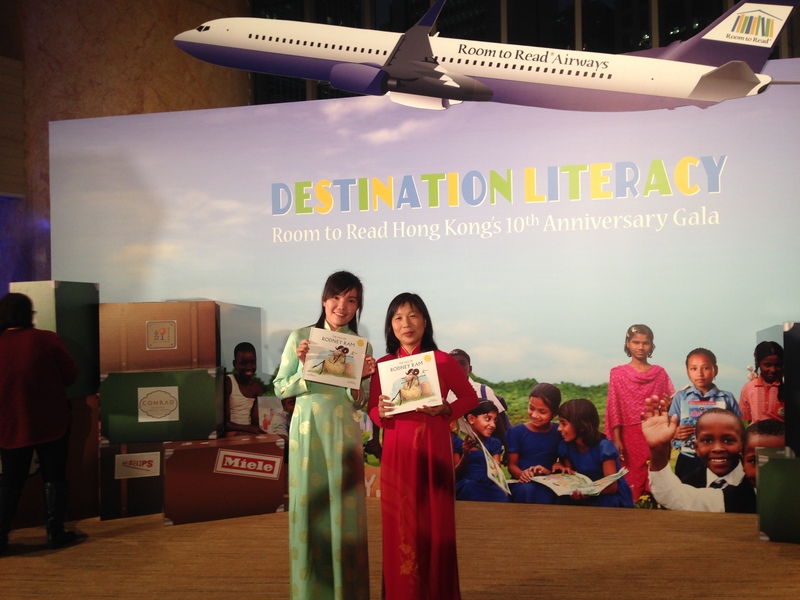 Here she is above on the left, holding a copy of my Tale of Rodney Ram with Dan Doan, Senior Program Manager, Room to Read Vietnam’s Girls’ Education Program, at Room to Read’s Gala Event on Friday night. I’m so proud to see two such kind and wonderful people holding my books! Remember if you want to help girls like Tay Thi achieve their dream to read, and to study, you can ask Mum and Dad to visit http://www.roomtoread.org right away with you, to find out more!